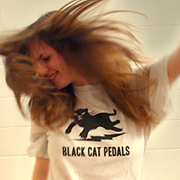 For Musicians Only: Black Cat Pedals T-Shirts are here! 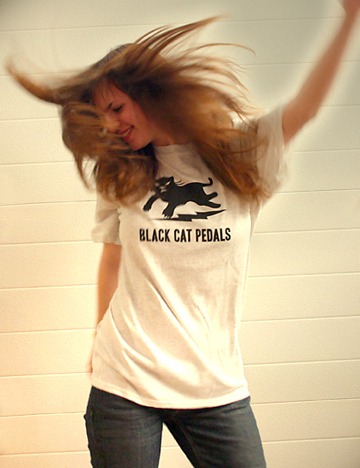 Black Cat Pedals T-Shirts are here! 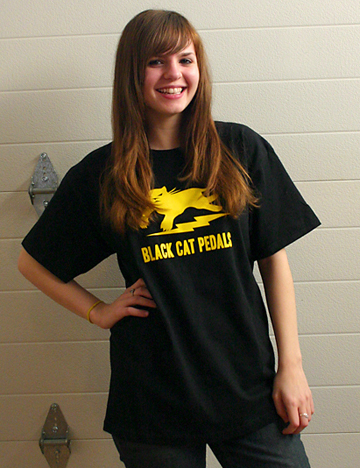 Look what we just got - brand new Black Cat Pedals T-Shirts. 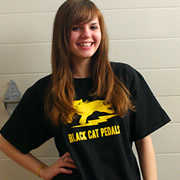 There are two different shirts available: Black with yellow cat logo, and Ash with black cat logo, both in sizes Medium, Large, and X-Large. 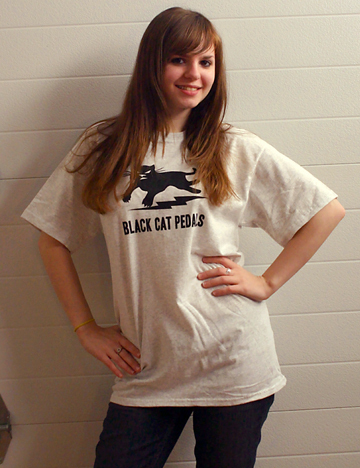 Here you can see both shirts being modeled by the lovely Black Cat Sara (click on the thumbnail pics for close-ups). 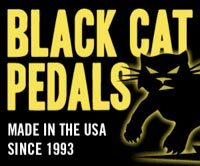 You can get your own Black Cat Pedals Tee at the FMO Gear Shop. Check out Sara rockin' out! Behold - the Black Cat Tone Bender MKI Americano! We have a new homepage!